Patience is hard to come by when you’re a fan of a franchise that has struggled to reach the top for 40 years. It’s hard to believe that something good can happen when everything wrong has happened. I didn’t think that the enduring pain of seeing the Warriors falter for so many years would go away. Yet tonight, all that pain and suffering was washed away. Just like that. Being a Warriors fan wasn’t easy growing up. I was in first grade when I mimicked my first basketball player. That was Chris Mullin. I thought the Warriors were the best. But in the following years, we would see bad trades, bad coaches and bad play. Yet I stuck with them. I didn’t know any better. But I knew that they were the team I fell in love with first and I would stick with them. They were my home team. They represented me. I represented them. It would have been easy to go away and choose a more successful team. The bandwagon looked enticing but I didn’t do it. Instead I stuck with the team that gave us subpar players like Andrew DeClercq and Todd Fuller. Bad head coaching choices left and right. And just mismanaged contract. There were some bright spots like “We Believe” but there was never enough belief that it was going to last. The Warriors would fall over and over again. The Warriors embodied the city of Oakland perfectly. The Bay Area embraced this team every single day. They were the team that reminded us that there can be brighter days ahead. The Warriors showed us that even we fall, we can always get up. The Warriors gave the people hope to believe and never give up. The time will come. You just had to be patient. The long seasons of just waiting and hoping for this team to finally reach the top has come to an end. It was worth every second of the wait. It is that sweet because of the wait. What this team showed me was that if I stayed firm in my loyalty to this team and my belief that one day the team will shine, then when it does come, it will be all worth it. I just had to wait. I had to be patient. I had to wait for the Warriors’ time. The time has come. And I wouldn’t have wanted it any other way. 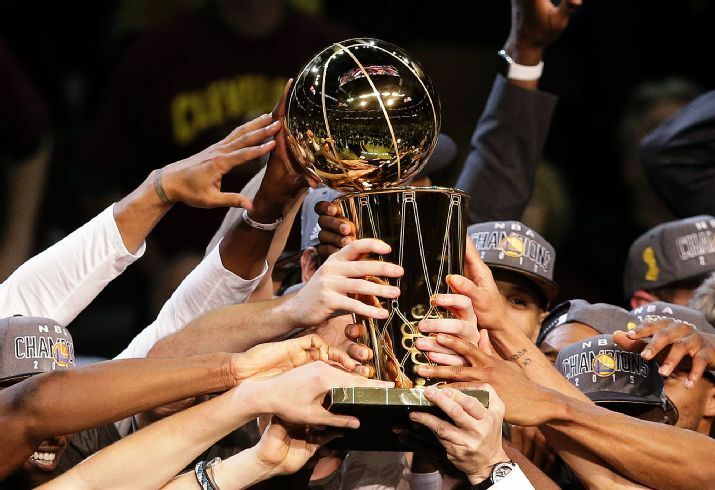 This entry was posted in Column, Golden State Warriors, NBA and tagged NBA Finals 2015. Bookmark the permalink.